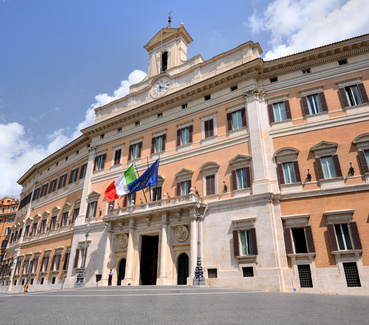 A new law has empowered the Italian government to enact the provisions of the EU unitary patent regulation and of the Unified Patent Court Agreement; Italy has also recently ratified the Protocol on Privileges and Immunities of the Unified Patent Court. Italy is well on the way to a full implementation of legislation on the unitary patent and Unified Patent Court. Italian Law No. 163 of 25 October 2017 has empowered the government to amend the Italian Intellectual Property Code to align it with Regulation EU 1275/2012 on the unitary patent and with the Unified Patent Court Agreement, which Italy ratified in 2016. Article 4 of the law delegates the government to enact provisions concerning the unitary patent and Unified Patent Court according to a set of principles and criteria. Inter alia, where unitary effect is requested for a European patent and the request is revoked or withdrawn, the term for filing an Italian translation with the Italian Patent and Trademark Office will run from the date of receipt of the communication of the final revocation or refusal of unitary effect, or from the date of receipt by the European office of the withdrawal request. Moreover, the government must provide that rules on the pre-eminence of the European patent where protection is afforded by a national patent as well will apply also where unitary effect has been granted for the European patent. The implementation of unitary patent and Unified patent court rules into Italian law must be completed by 20 November 2018. Meanwhile, Italian Law No. 201 of 4 December 2017 on the ratification of the Protocol on privileges and immunities of the Unified Patent Court has also come into force. The law essentially grants the Unified Patent Court legal status, paving the way for the future entry into force in Italy of the UPC. However, the ratification instrument has not yet been deposited with the General Secretariat of the Council of the European Union.